In a candid chat with Cinestaan.com, the rising talent talks about his next projects Nagarkirtan and Eela with noted directors Kaushik Ganguly and Pradeep Sarkar, respectively. 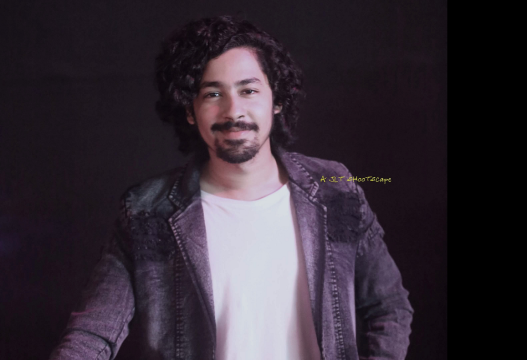 A theatre actor since childhood, Riddhi Sen is also the son of noted theatre personalities and film artistes Kaushik Sen and Reshmi Sen.
Riddhi made his own name in Bengali cinema with Anindya Chatterjee’s Open Tee Bioscope (2015). There has been no looking back after that, as he has not only been cast in important Bengali films but has also worked with Australian filmmaker Garth Davis in Lion (2016), Omung Kumar’s Bhoomi (2017) Bikas Misra's Chauranga (2014) and Leena Yadav's Parched (2016). The young actor's major interest lies in acting, irrespective of medium and language. Along with his growing career in cinema, he has consistently been working in theatre and web series as well. You have recently finished working in Kaushik Ganguly’s upcoming film Nagarkirtan. I cannot disclose much about my role in this film right now as it is yet to be released and is now being sent to various film festivals. The script of the film was written by Kaushik Ganguly long back. He had done a film called Arekti Premer Golpo in 2010, featuring Rituporno Ghosh. It was being circulated that the film was majorly directed by Ghosh, as Ganguly did not have much control over him on the set. Since then, he had been carrying a hurt and has always wanted to make an independent film on the issue of transgenders. Kaushik Kaku is now very happy with the film and I am also equally excited to be part of one of his dream projects. I feel this is going to be really an important film on the context of the current situation of the country, where homosexuality is still not decriminalised and transgenders are severely looked down upon. Nogorkirton is about the story of a boy who wishes to transform into a girl. It is a sweet love story and Ritwick Chakraborty is going play an important role in it. Hopefully, the film will be released in November. Before the release, we wish to cover all the festivals. It is very difficult to draw audiences for an independent film these days. I think a good reception by the festivals outside will help in the publicity of the film. I seriously think that it is very necessary to watch these kinds of films; I can name Aligarh (2016), in this regard. I feel that Nagarkirtan will support the issues around homosexuality and transgenders. How challenging was to play the role of a transgender? It was definitely quite challenging, as till now I have only played characters of my own gender. As an actor, I also consider myself quite lucky that I got the opportunity to essay this role, that too from a director like Ganguly, who, I regard, as one of the finest directors of the country. How has your extensive work in the theatre helped you in enacting the role? I have grown up in a family of artistes. I did not need to go to an acting school; the school has been in my home. While working in the theatre and also in films, all the people have I have worked or have been associated with have helped me a great deal. For example, in theatre, besides Baba (Kaushik Sen) and Ma (Reshmi Sen), I have worked and am also currently working for a production with Anjan Dutta; in films, Garth Davis, the director of Lion (2016), actress Tannishtha Chatterjee, all these like-minded people have been like my mentors. Even chatting with them has also enriched me manifold. Eela is your second commercial mainstream Hindi film. Can you please talk about your experience of working in that film? First of all I feel very lucky to be chosen by Pradeep Sarkar for this film. Pradeep da had seen Open Tee Bioscope (2015) and I had done a few ad films with him. I honestly don’t know how he found me apt for one of the central roles in the film solely by judging those works, because I am aware of the struggles and the processes one goes through in the Mumbai film industry and I know that there are far more worthy actors out there as well. Therefore, Pradeep da casting me in Eela without any audition means a lot to me. Producers Ajay Devgn and Jayantilal Gada, too, seem to be happy about the casting. The story of the film has been written by Nitesh Shah and is inspired from Anand Gandhi’s Gujarati play Beta Kaagdo. It is a sweet film on a mother-son relationship and their daily struggles. Kajol plays the single mother, who is also an aspiring singer and I, the son. Music plays an important role in the film and Amit Trivdei is doing a great job in it. I don’t believe in the categorisation of commercial or art house films, according to me, as long as a content is communicable to people, it is commercial. There are only bad films and good films. For example, Raj Kumar Hirani’s films are extremely commercial but at the end, they deliver some messages. Eela, is such a film, made for common people, not for any particular class of the society. Unlike Pradeep da’s other films, Eela does not have the grandeur of Parineeta (2005) or Lafangey Parindey (2010); rather, it depicts issues and problems which everyone goes through in their lives, at some point. It is very much script and acting oriented and made to make the audience feel good once they come of the theatre. How was working with Kajol? It was great. Initially, we were a little concerned regarding how things would shape up. It is difficult to portray a mother-son relationship of years for two actors, who barely know each other, no matter how experienced actors they are. However, surprisingly we clicked very well on the very first day. We found the entire set enjoying our performance. From that feedback, I reckon that our acts will be enjoyed by the audience as well. Yes, the concept of the film is out-dated and the making was not brilliant as well. So there are valid reasons behind the failure of the film. At the same time, I feel good that these days the audiences are not accepting movies with conventional themes, rather they are looking for experimental works. Also, films these days are majorly script oriented. In that case, I had an advantage of not playing a very crucial role, as we know that when a film doesn’t work, the central character faces a share of blame with the director. I have been lucky that way and the appreciations have helped in my acceptance in the Mumbai film industry too. I am really happy that Samantaral has been a commercial hit. The film is also about homosexuality, on the backdrop of a family. It has a simple story with a straight forward approach. We generally tend to misunderstand the audience. Whereas, Samantaral running for the sixth week with houseful theatres means audience like to watch good content. It is also encouraging for independent filmmakers, who are stepping into the industry without much support, because we are aware of the fact that these days it is very difficult to get one’s film through the audience without proper contacts. My father has an interesting observation in this regard. He says promotions actually happen through common audience, not media hypes. We often see a film launching with a lot of media coverage; however, after the release, it gets lost, because audience decide the fate of a film. I think, with Samantaral’s success producers will also be motivated to invest more in independent films, from now onwards. How was working in the web series Feluda? The trend of making web series is slowly coming into picture in India. On the national level, though there are some really good series, Kolkata has hardly produced any. Most of them have quite derogatory contents. Feluda, on the other hand, is quite an exceptional effort. It was initially criticised for the modern interpretation but when the audience found that the essence of the characters and stories is intact they appreciated it. Param Da (Parambrata Chattopadhyay) has an amazing knowledge about filmmaking. We often say that he is a better director than an actor. Again, I consider myself to be very lucky that Param da approached me for the series. We have seen that how Robert Downy Junior’s portrayal of Sherlock Holmes was appreciated. Similarly, I think we should seriously think about presenting the gems of Bengali literature from a new perspective like Param da’s Feluda series. I am really happy to be associated with the project. So you are not planning to work in any other web series? Actually, working in a web series demands 10-15 dates every month. For the time being, I am happy with one series. We are planning for the second season and will begin the shooting shortly. Apart from that Baba (Kaushik Sen) is going to stage a new production on a novel written by Srijato Bandopadhyay, on the life of Vincent Van Gogh. Anjan Dutta will be playing the artiste and I will also play an important role in it. It is about a modern artiste from 2018, who also suffers from the similar crisis that Van Gogh suffered, which is not really understood by the world. Dhrubo Banerjee, who has also arranged the music of the play, has helped my father in the adaptation. So are you planning to work more in mainstream Bollywood (Hindi) films? I don’t really believe in the categorisation of 'Tollywood', 'Bollywood' or 'Hollywood'. As long as I get offers with good scripts, irrespective of the medium or language, I will do it. However, I do not really expect that I will start getting a lot of offers as I am only a beginner. If films keep coming my way, I will consider myself fortunate. Is it true that you are also planning to direct short films? Yes, we are still in the process. 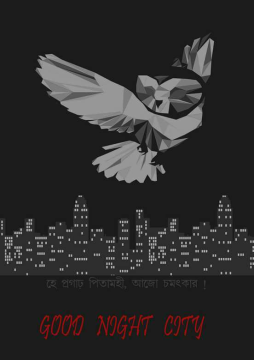 Kolkata Kaleidoscope has agreed to the budget I have given and they are going to produce it. 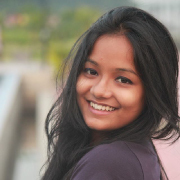 I will also discuss the script with filmmaker Atanu Ghosh and the shooting will most probably begin in June. 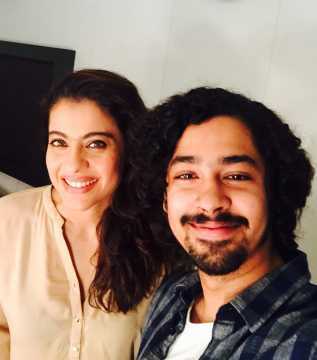 Kajol to act in Pradeep Sarkar’s Ela?